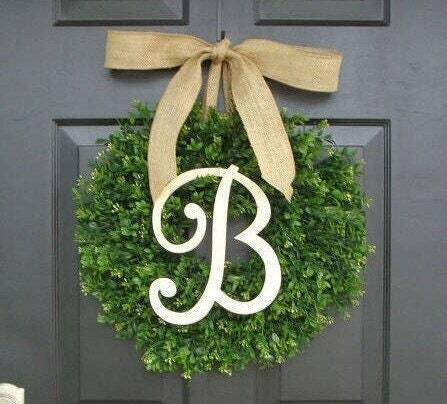 This is a Unique THIN Boxwood wreath and is the number one selling boxwood wreath for storm doors on Etsy. It is under 3 inches thick but very full wide wreath, shaped to be perfectly elegant and round. Comes in sizes 16-24 inches and you can customize your wreath with ribbon and/ or monogram as well. 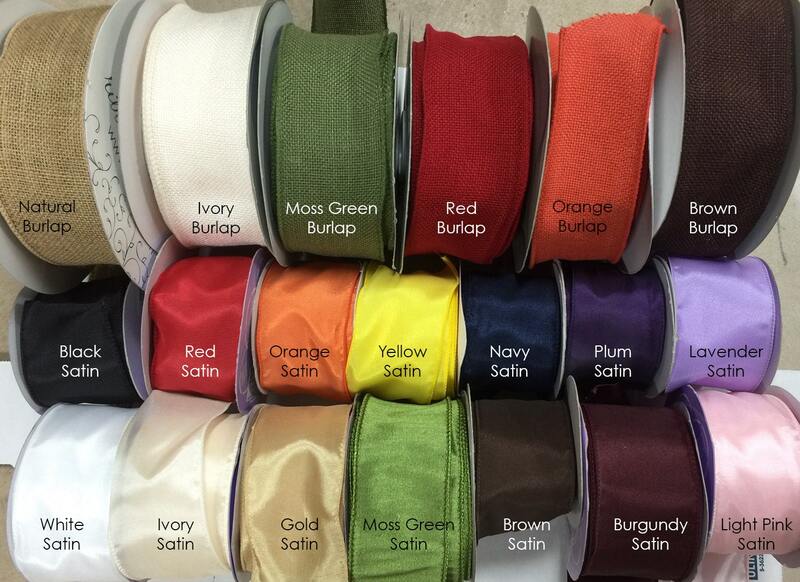 Because this material is made of plastic it is great for outdoor use and can get wet. Silk boxwood can't withstand moisture. A gorgeous year round design! I have sold over 1000 of these wreaths to date! 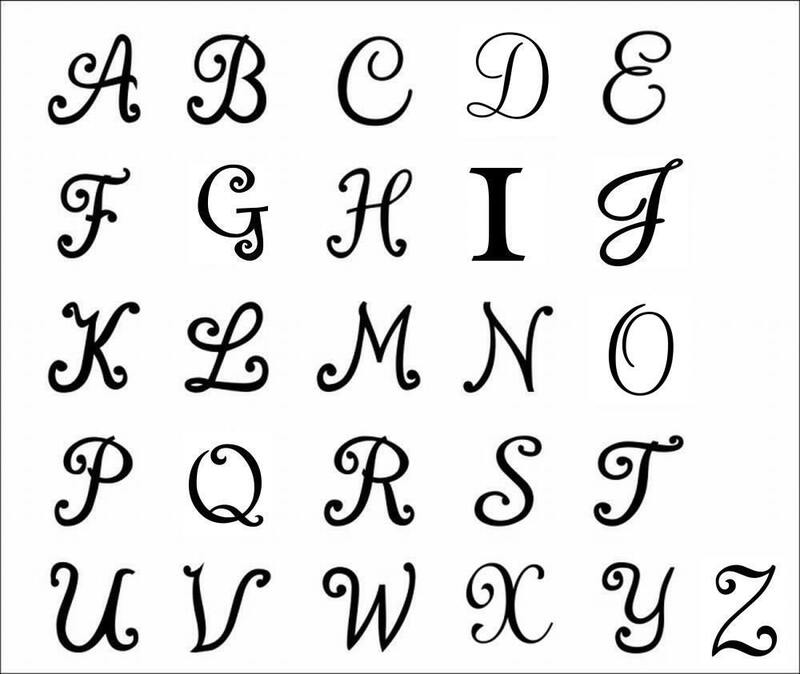 Monograms are 10 inches tall, are in stock and ready to ship in the letter options shown. The monogram is painted with a CLEAR paint to show the natural light wood color. "I had a great experience with Elegant Holidays. Communication was quick and helpful and the product is great quality and came exceptionally fast. Would buy from them again in a heartbeat!" 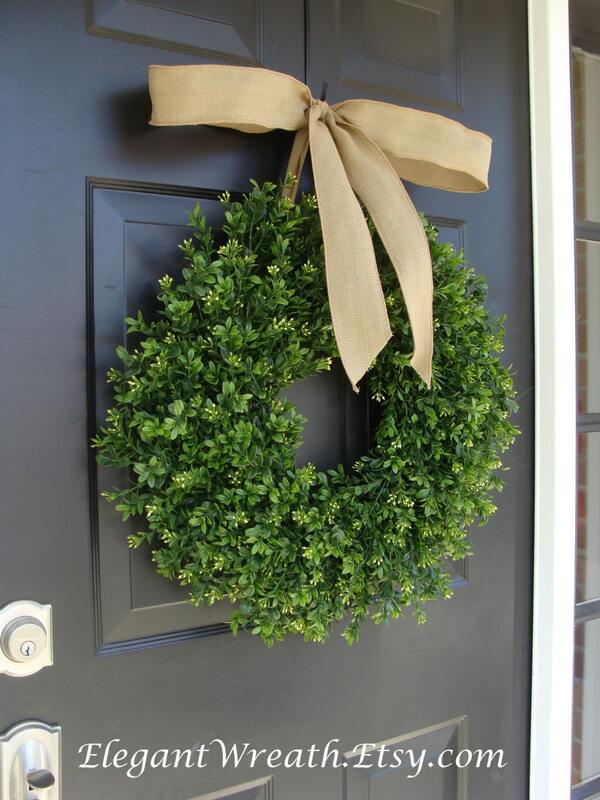 Just want a plain boxwood wreath? 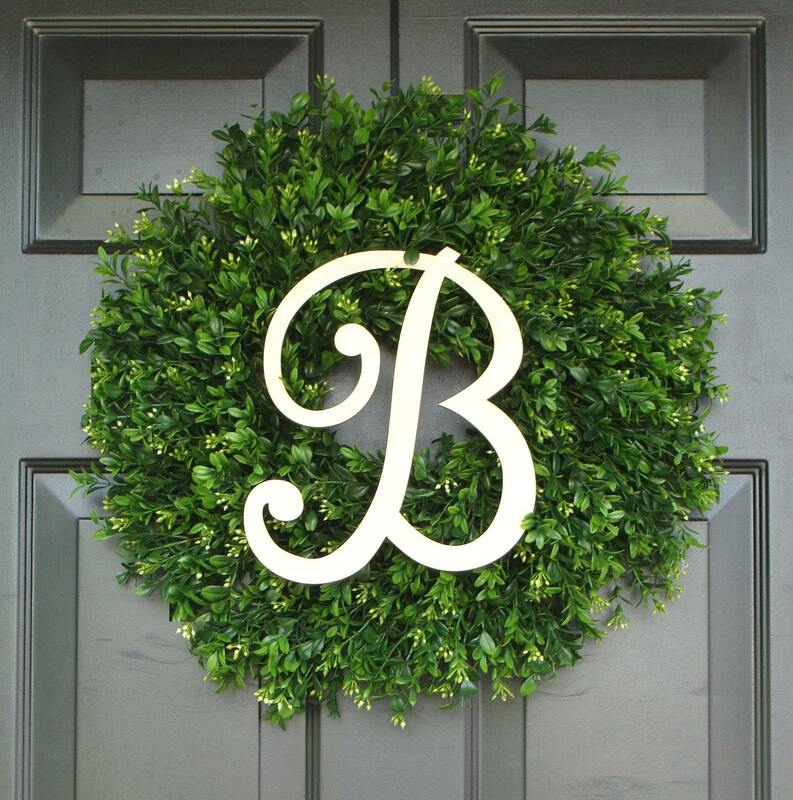 Click on the link to view all my boxwood wreaths in sizes 14-30 inches, the most options on Etsy. Check out my entire shop for a large section of wreaths for all occasions and seasons! Absolutely love it!!! Worth every penny for a beautiful quality wreath to use year around. I am so happy with my order. This is the first wreath I have found to work perfectly with our storm door. It is well constructed, and I love the initial and bow. Excellent door decoration! I absolutely adore this wreath. It arrived quickly, too. I wasn't sure what size I wanted, but the 20" is perfect. Thank you so much!